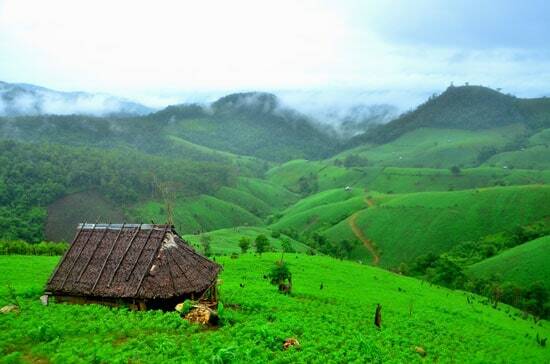 Mountains line the northwest border of Thailand, early foothills of the distant Himalayan mountain range. However, unlike the Himalayan’s snowy caps and high altitudes, the mountains separating Thailand from Myanmar are only a little higher in elevation than Mount Rushmore and blanketed in a lush tropical canopy dotted with tribal villages. Lahu, Karen and Lawa tribes make their homes in forest clearings and live off the land. In one of those villages lives Satawa, a 9-year-old Lawa tribe boy. For families like his, living off the land is a strenuous existence, made harder by their difficulties with one of life’s necessities: water. For water, Satawa’s parents have to walk one and a half miles down the ridge to where villagers have dammed a mountain creek, making it a small, swirling mud hole in the dry season. The water is clouded and dangerous, filled with germs and parasites that have washed down the mountain and collected there. 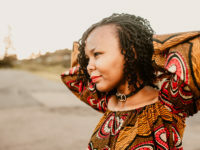 In the wet seasons, when rain is a constant and roads become rivers of mud, collected rain water can be just as dangerous as water from the mud hole. Chickens roosting on the roofs add pathogens to the water that washes down into collection buckets and cisterns. In 2011, Compassion Thailand and 21 church partners sought to understand the problem of unclean water more clearly, so they started counting. Village leaders kept track of their children’s health, and churches reported the numbers to the Compassion field office. After two years of counting cases of waterborne illnesses, a sad and painful situation was revealed. In Satawa’s small village alone, 146 cases of diarrhea among children were reported. The same village reported 91 cases of parasitic infections and 26 reported skin diseases from bad water as well. 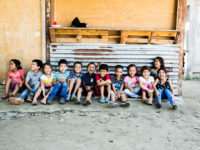 In all, across the 21 churches in the survey, the past two years had seen close to a thousand children sickened from these and other waterborne diseases. As a result of constantly being sick, children were being robbed of valuable school time. Satawa and his friends missed school days because of dysentery or high fevers, keeping them absent from the education that could help them break free of the poverty cycle. Mothers and fathers agonized over their children’s health, knowing the water was making them sick but unable to do anything about it. When some children avoided drinking water because it was so dirty, they developed bladder stones — painful mineral buildups in their bladder, due in part to dehydration, similar to kidney stones. It was a Catch 22: drink water and suffer diarrhea, don’t drink water and develop bladder stones. The children were in desperate need of a transformation. 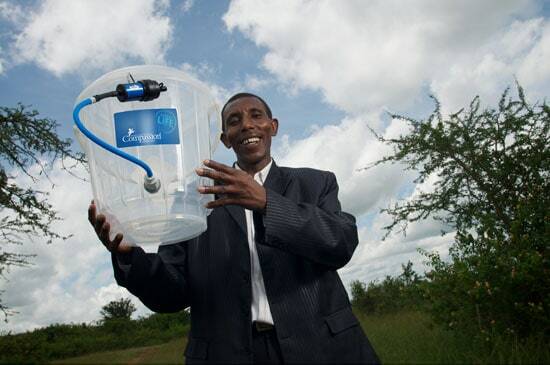 Searching for an answer to their water problems, Compassion field office staff members came upon a possible way to change dirty water into hope — a product known as a Sawyer filter. Using technology inspired by kidney dialyzers, Sawyer Products’ commercially available water filters provide amazing results. The filter, a device about the size of a classic Coke bottle, can transform a diseased mountain stream into drinkable water, cleaner than if it had been bottled in major developed countries. With an amazing success rate at 99.99999%, the filter attains the highest level of filtration available today. The filter is also highly sustainable. Unlike traditional charcoal or gravel filters that require costly maintenance and refilling often, Sawyer filters can be maintained in five minutes once a week, costing nothing; the only requirement is to simply backwash the filter using filtered water and a syringe provided. 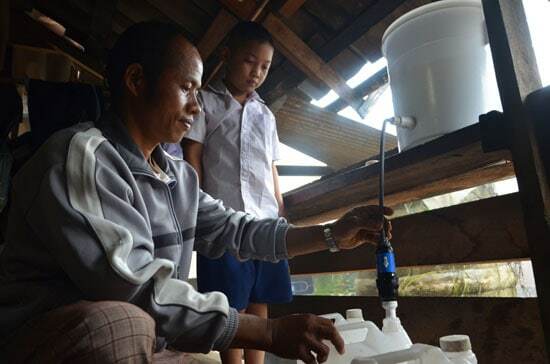 Sawyer filters can fill a 3-liter milk jug in five minutes, a flow rate fast enough to provide clean water for cooking, washing and drinking for two to three Lawa families! Using the findings from their survey, Compassion started a Complementary Intervention project to get these filters into children’s homes. Church partners were given filters to distribute, and local churches introduced the filters to villagers with great excitement. Parents were taught how to use the filters properly to guard their children from sickness or even death. In the span of a few months, more than 1,000 Sawyer filters found new homes in churches, child development centers, and homes of Compassion children. With a shared sense of responsibility, three families would use one filter unit, taking turns to refill the reservoir buckets and backwash weekly. Satawa’s favorite feature is that it is child friendly. Sitting on a bench in his family’s wooden stilt house is a white bucket. A 1-foot hose leads out from the bottom, with the filter attached at its end. When Satawa wants a drink of clean water, all he has to do is lower the filter nozzle into his cup and let gravity do the rest. Thanks to the combination of technology and proactive churches, children and adults have access to truly clean water for the first time in their lives. 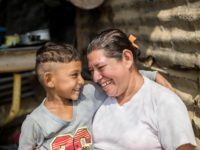 Disease-ridden mountain runoff is being transformed into water as clean as the water normally consumed in the developed world; sick children are transformed into smiling, healthy children with energy for school; and parents, previously worried for their children’s health, are now hopeful and confident. But most important, poverty is being transformed into hope. With health and energy, children are able to regularly attend church services and do better in school. Today, along with textbooks and smiling faces, Satawa and his friends are carrying something new to school: recycled plastic water bottles, filled with clean, filtered water from home. Provide safe water for life for a child and a family. Give a Compassion Water of Life system today. Jonathan is a Compassion Field Communications Specialist in Thailand. Prev Post:Rainwater Harvesting Brings Clean WaterNext Post:Who is Your Hero? Where can I get a water purifier for my personal use? Preparing for hard times. Charles, I pray that God provides for you during the difficult time you’re going through. Sawyer (http://www.sawyer.com) manufactures the system that Compassion uses and you’re welcome to visit their website and purchase one for your own personal use. Model SP180 is most similar to the system used by Compassion children and families. I just received a letter from the project director at the Compassion project where 2 of my beloved sponsor children attend in northern Thailand. One of the things the director said was about how grateful they were to have received these water filters!!! When I had read this blog a while back I was hoping that my kids in Thailand would be in one of the groups that got a water filter. I am SO thankful to now know that they were!!! 🙂 Thank you so much Comassion for giving my precious babies clean water to drink!!! Blessings from a very thankful sponsor!